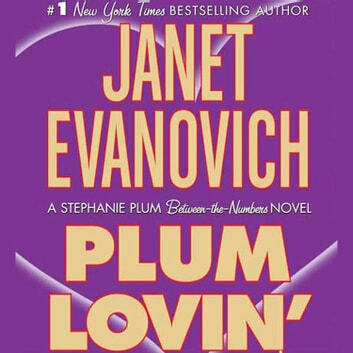 From #1 blockbuster bestselling author Janet Evanovich comes Plum Lovin, a Stephanie Plum novel that takes adventure, action, suspense (and maybe even true love?) to new heights. Mysterious men have a way of showing up in Stephanie Plum's apartment. When the shadowy Diesel appears, he has a task for Stephanie--and he's not taking no for an answer. Annie Hart is a "relationship expert" who is wanted for armed robbery and assault with a deadly weapon. Stephanie needs to find her, fast. Diesel knows where she is. So they make a deal: He'll help her get Annie if Stephanie plays matchmaker to several of Annie's most difficult clients. But someone wants to find Annie even more than Diesel and Stephanie. Someone with a nasty temper. And someone with "unmentionable" skills. Does Diesel know more than he's saying about Annie Hart? Does Diesel have secrets he's keeping from Stephanie and the two men in her life--Ranger and Morelli? 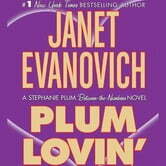 With Stephanie Plum in over her head, things are sure to get a little dicey and a little explosive, Jersey style!